Toxic chemicals may be triggering the recent increases in neurodevelopmental disabilities among children — such as autism, attention-deficit hyperactivity disorder, and dyslexia — according to a new study from Harvard School of Public Health (HSPH) and Icahn School of Medicine at Mount Sinai. The researchers say a new global prevention strategy to control the use of these substances is urgently needed. The report was published online February 15, 2014 in Lancet Neurology. “The greatest concern is the large numbers of children who are affected by toxic damage to brain development in the absence of a formal diagnosis. They suffer reduced attention span, delayed development, and poor school performance. Industrial chemicals are now emerging as likely causes,” said Philippe Grandjean, adjunct professor of environmental health at HSPH. 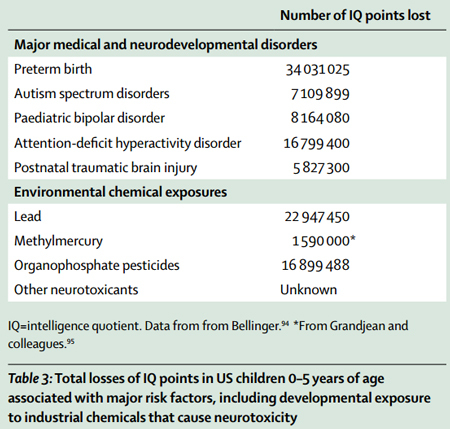 The report follows up on a similar review conducted by the authors in 2006 that identified five industrial chemicals as “developmental neurotoxicants,” or chemicals that can cause brain deficits. The new study offers updated findings about those chemicals and adds information on six newly recognized ones, including manganese, fluoride, chlorpyrifos and DDT (pesticides), tetrachloroethylene (a solvent), and the polybrominated diphenyl ethers (flame retardants). 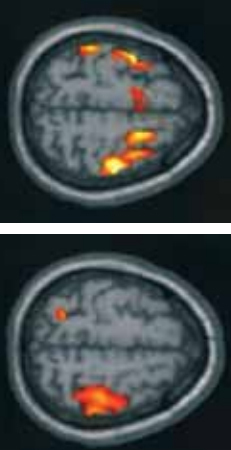 Grandjean and co-author Philip Landrigan, Dean for Global Health at Mount Sinai, also forecast that many more chemicals than the known dozen or so identified as neurotoxicants contribute to a “silent pandemic” of neurobehavioral deficits that is eroding intelligence, disrupting behaviors, and damaging societies. But controlling this pandemic is difficult because of a scarcity of data to guide prevention and the huge amount of proof needed for government regulation. “Very few chemicals have been regulated as a result of developmental neurotoxicity,” they write. “The problem is international in scope, and the solution must therefore also be international,” said Grandjean. Funding for the study came from the National Institute for Environmental Health Sciences of the National Institutes of Health.